Srpske Narodne Pjesme. I: Najstarije Pjesme Junacke.. Skupio ih i na svijet izdao. Vukova Djela. 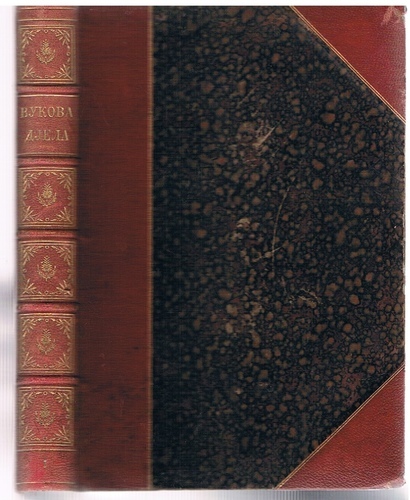 Very nicely bound first volume (only) of "Vuk's" collection of Serbian oral poetry. Half red morocco, raised bands to spine, decorated and ruled in gilt, marbled boards and endpapers, retaining original printer's illustrated cover inside. 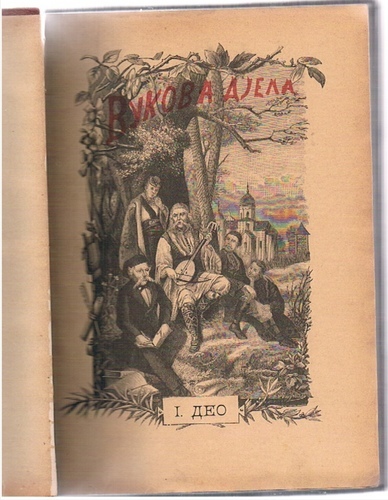 ; With 101 examples of the oldest Serbian folk ballads. All texts in Serbian Cyrillic. ; Djela Vuka Stef. Karadzica. Knjiga Prva.